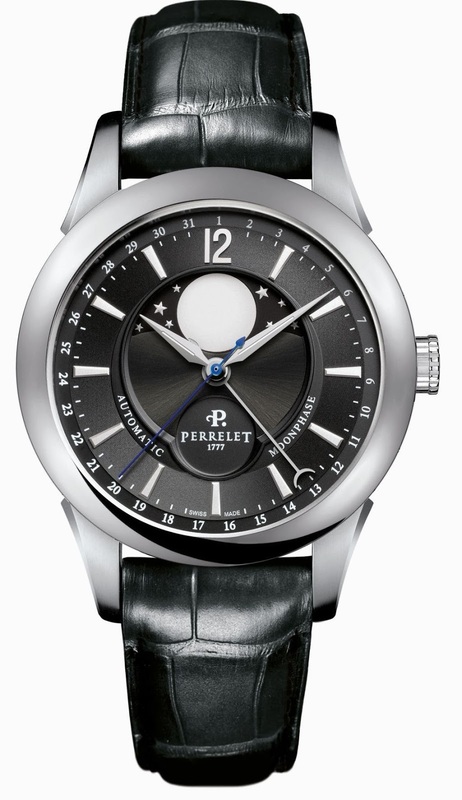 The Perrelet Big Central Moonphase houses P-211 calibre, Developed and manufactured exclusively by the Group’s Affiliate, MHVJ (Manufacture horlogère de la Vallée de Joux). The exceptional interaction of the 3 technical components (carrier, star wheel and pinion) provides an exact indication that will not require correction (independently of the date) for more than 100 years, when working non-stop. The imposing moon disc of Perrelet Big Central Moonphase is synchronised with the hours, minutes, seconds and date with central hand. 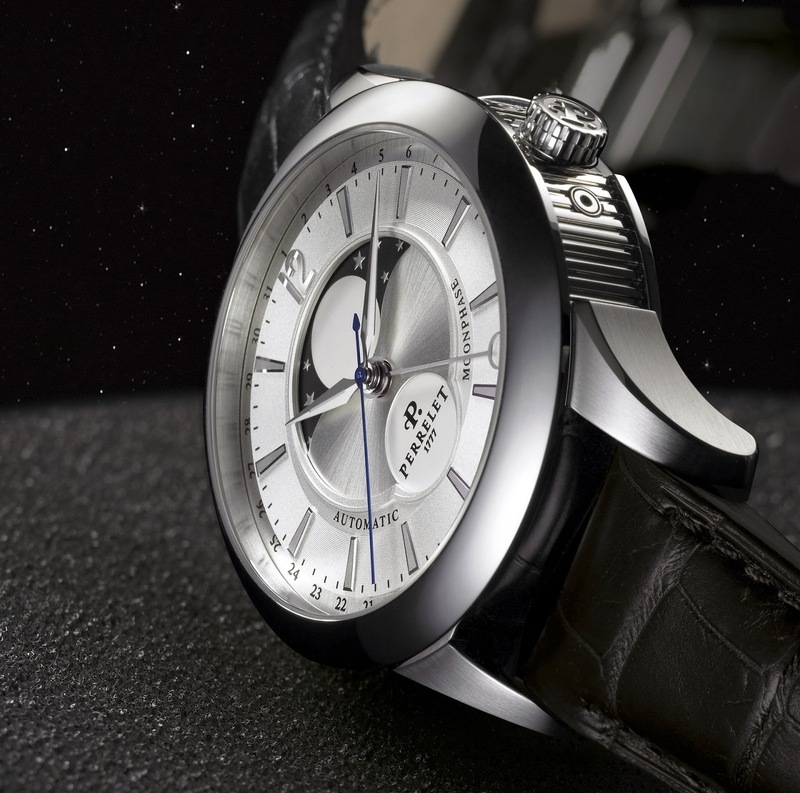 The cases housing this complication belong to the classic collection of the range. Recognizable by their fluting, they are fitted with an alligator strap with folding clasp which, with due attention to detail, continues the fluting feature on its sides.